Winters in St. Louis can be long and unpredictable. While some of the extremely bitter temperatures that the Northeast experiences aren't common, it can still get frigid. The wind picks up in February as well, making the outdoor temperature often feel several degrees colder than it truly is. Winter is typically quite dry in St. Louis, but while the city only experiences five days of rain on average during February, snow is always a possibility. St. Louis typically receives around 20 inches of snow, spread throughout the whole season. Given the chilly temperatures and unpredictable weather, you'll want to bundle up for your February visit to St. Louis. Pack long-sleeved base layers and sweaters that you can quickly pile on (or take off) depending on the weather. You'll also want to pack a medium-weight jacket (ideally waterproof), a hat, scarf, and gloves, moisture-wicking socks, and a sturdy pair of walking shoes. More than 25 local breweries come together for the Centennial Beer Festival, premium tasting event. Enjoy samples of local craft beers, as well as top brews from around the country and the world. February is prime Mardi Gras time (although the official day lands in March this year) and the Soulard neighborhood hosts the biggest party in town. 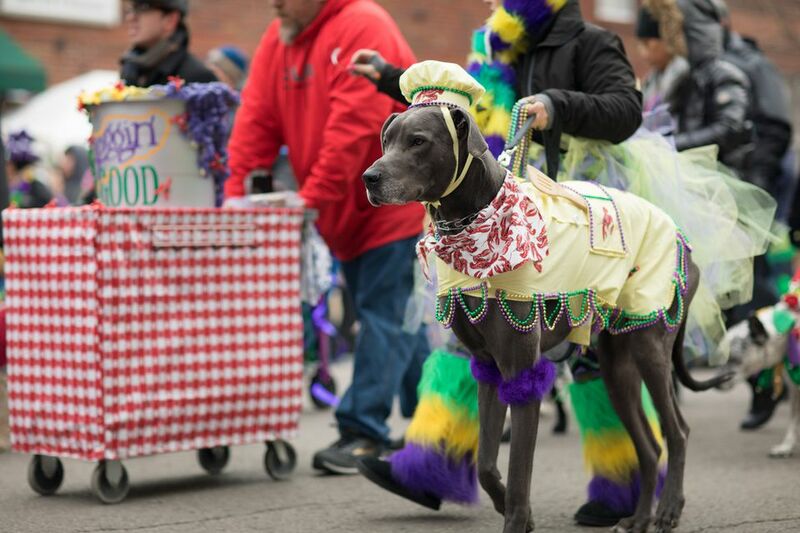 The celebration's top events, including the Pet Parade and Grand Parade, are happening this month. Get a head start on summer fun at the St. Louis Boat and Sportshow, held in early February. See the latest in boats and other watercraft from dozens of exhibitors, catch seminars on casting, and meet Twiggy, the Waterskiing Squirrel. Every year hundreds of bald eagles return to the St. Louis area to their winter nests along the Mississippi River. Eagle watching is a favorite winter activity in Alton and Grafton. On President's Day weekend, you'll see eagles and much more at the National Great Rivers Museum. Ski resorts in the area are still open in February, so if you're hoping for some time on the slopes, head to nearby Hidden Valley Ski Resort for some fun in the sun and snow.